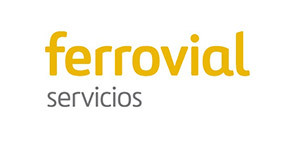 Ferrovial Servicios is a worldwide reference in the efficient provision of urban services, operation, maintenance and management of facilities, as well as in the provision of environmental solutions and consulting for the integral management of infrastructure assets. It offers a wide range of innovative solutions for public and private clients in the local administration, transport, environment, social infrastructures and industry sectors. With a presence in ten countries worldwide (Spain, United Kingdom, Australia, Poland, Portugal, Qatar, Chile, United States, Canada and New Zealand), it improves the quality of life in more than 300 major cities and infrastructures of international reference. One of the main contributions of Ferrovial Services to the Life + Zero Cabin Waste project is the management and valorisation of catering waste at its Fuenlabrada treatment plant in Madrid. The activity is carried out within the company’s Division of Urban and Industrial Waste Management, whose objective is the development of innovative solutions applicable to the different stages of the life cycle of waste: collection, treatment, recycling and recovery. This division collaborates closely with the Environmental Competence Center of Ferrovial Servicios, a multidisciplinary and specialized team whose mission is to provide comprehensive technical support to Business Units throughout the life cycle of environmental assets. Ferrovial Servicios is committed to the latest solutions and technologies to maximize waste recycling and energy recovery, while minimizing environmental impact and with a clear commitment to circular economy.